Well, there are no words to describe what we saw tonight. 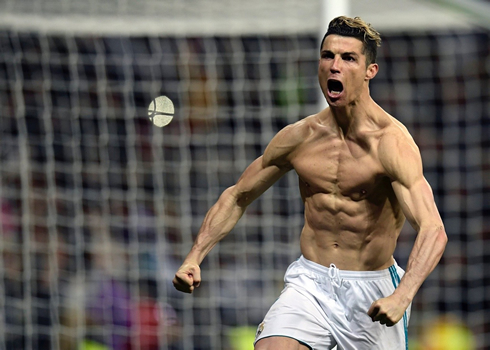 Madridistas around the world must have felt every single emotion during the excruciating 98 minutes of football played at the Santiago Bernabéu tonight. From agony to ecstasy in the span of one night. 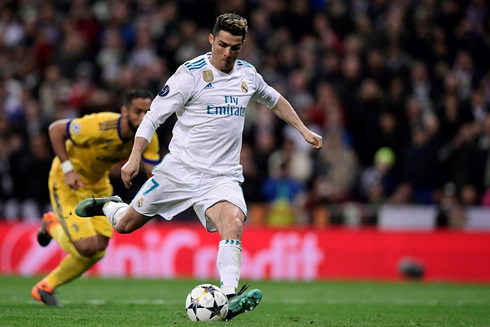 And just when Real Madrid looked completely dead in the water they were able to claw back in the dying moments with who else but Cristiano Ronaldo finishing the game off following a highly controversial penalty-kick converted in the 97th minute. 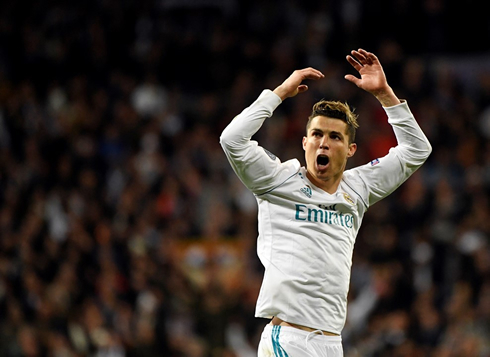 Juventus won the encounter 3-1, but it's Real Madrid who go through into the Champions League semi-finals, thanks to a 4-3 result on aggregate. To be honest, Juventus looked like they deserved to go through. In recent years, I've never seen this group of Madrid players play so timidly. They looked nervous, scared and oddly overwhelmed by the occasion. Mario Mandzukic was a torn in Madrid's defense all match long and when he scored after a minute and 16 seconds, there was a collective sense of fear around the Bernabéu. Fear that would be justified. Juventus went from strength to strength and even as Madrid spurned chances, they continued to threaten. Eventually, one became two as Manduzkic was again able to beat Madrid and Carvajal in the air, taking the match to 2-0. Then it became three after the half as Keylor Navas' monumental error gave Blaise Matuidi a chance and the Frenchman converted. Down 3-0 with the Bernabéu in shock, it looked over. Madrid were heading to extra time where a solitary Juventus goal would have ended the tie. And then, Cristiano Ronaldo leaped over Alex Sandro and headed the ball down to Lucas Vasquez. The Spaniard was clattered from behind by Benatia and a penalty was awarded. In the aftermath, Buffon was sent off for his protestations and with the world watching, Cristiano Ronaldo stepped up to take the penalty. And as always in clutch situations, he converted well. 1-3 on the night and Real Madrid have escaped. Cristiano Ronaldo next game for Real Madrid is on April 15 of 2018 against Malaga. You can watch Juventus live stream, Malaga vs Real Madrid, Sporting vs Atletico Madrid, Tottenham vs Manchester City, Southampton vs Chelsea, and Liverpool vs Bournemouth, all matches provided from our football streaming game pages.